The present paper describes advances in the study of preparation and properties of plasma polymerized organosilicon compounds. Plasma polymerization — deposition process is characterized with regard to the fabrication variables showing the condition at which plasma-induced polymerization or atomic mechanism dominate. The temperature dependences of the film deposition rate revealed that the deposition process is generally controlled by adsorption of film-forming species. The discussion is mostly devoted to the dielectric materials, but some remarks are presented on recently obtained ionically conducting plasma-deposited thin films. 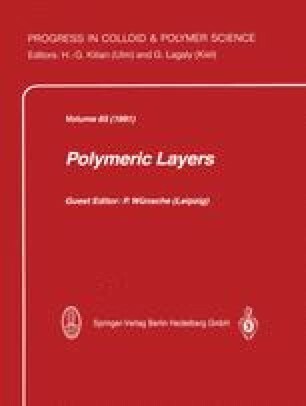 Structure of the films characterized by various techniques leads to suggestion of the model of organosilicone films. The influence of fabrication variables on structure, morphology, and selected properties are presented.